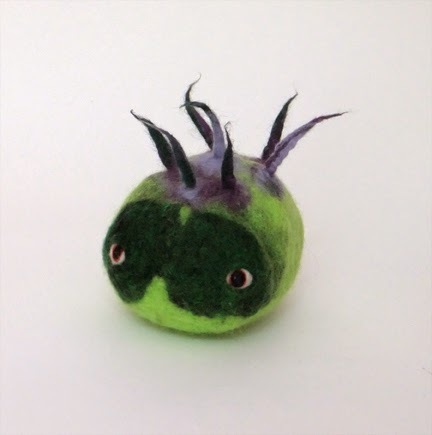 I started this pod last year while showing a fellow artisan how to make a felted pod... It sat on the shelf in its dry "non-wetted" down state for over a year. Finally had a chance to felt the pod and voila, I love my spikey new pod.